More than 30 volunteers from the World Mission Society Church of God partnered with the City of Doral to clean up major streets and common areas in the City, collecting trash and removing debris from NW 74th Street between NW 107 Avenue and NW 97th Avenue, later continuing up NW 97th Avenue from NW 74th Street to NW 58th Street. In four hours, the volunteers covered two miles and collected 60 bags of trash weighting a total of 1,340 pounds. The City of Doral provided the group with gloves, trash pickers, trash bags, and water. The environmental cleanup was part of the worldwide movement titled, “Mother’s Street,” which the Church of God carried out in more than 6,000 regions in 175 countries, and covered a distance equivalent to the circumference of the earth—nearly 25,000 miles. 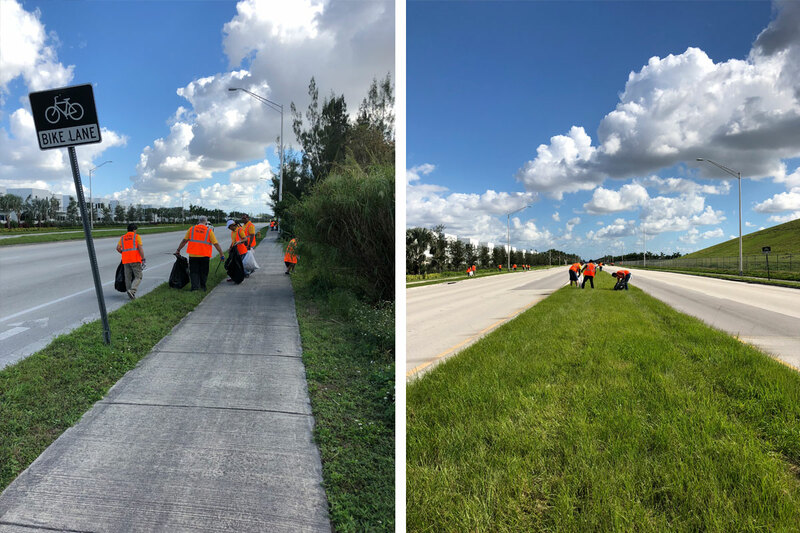 A cleanup also took place in Hollywood, Lake Worth, Orlando, Tampa, Jacksonville, and Pensacola. Out-of-state cleanups took place along the East Coast in Kentucky, North Carolina, New Jersey, Pennsylvania, New Hampshire, Maryland, and Washington, D.C., with hundreds of volunteers participating. 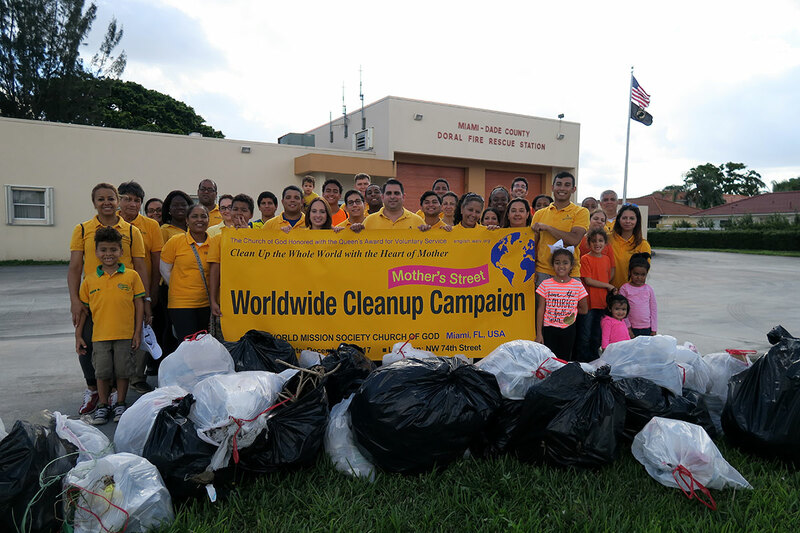 The goal of “Mother’s Street” cleanup movement is to promote health and happiness among the global family of nations.